Eat your heart out! Artichokes are the diva of vegetables. 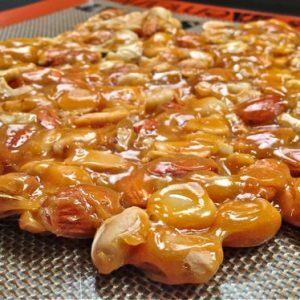 They require careful preparation and a long, steamy cooking time. I know. 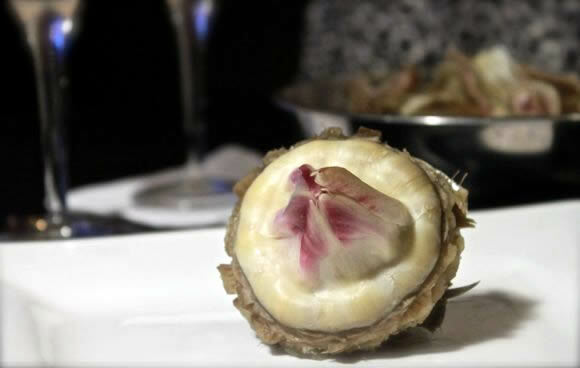 But when you dip an artichoke in butter, it tastes like the lobster of vegetables. So it’s hard to stray from the butter. I know. However, there is a school of mayonnaise based dips that offer more variety. And since it’s hard to improve upon the thoroughness of this article, or this article, or the active conversation here about healthier artichoke dipping sauces, I’ve decide to attack the mayonnaise based dipping sauce (and impress you with my artichoke still lifes). 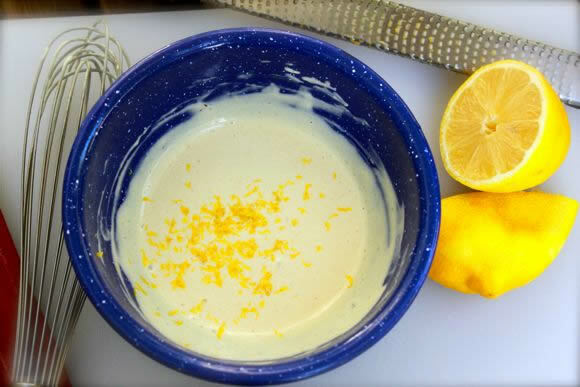 This Artichoke Dipping Sauce is balanced, rich and perfect for intermittent bites between melted butter. 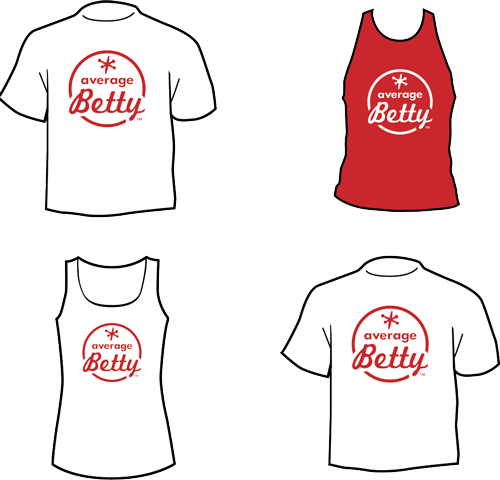 So go ahead, eat your heart out! Notes: Use caution when handling artichokes. There are tiny thorns at the top of each leaf. 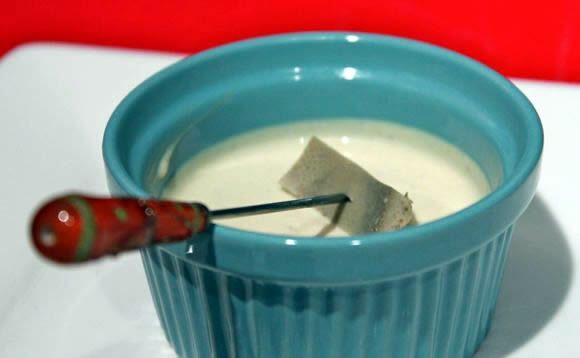 This recipe makes 3/4 cup of dipping sauce, enough for 2-3 large artichokes. 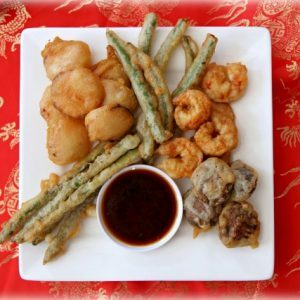 Leftover dipping sauce may be used with other vegetables. 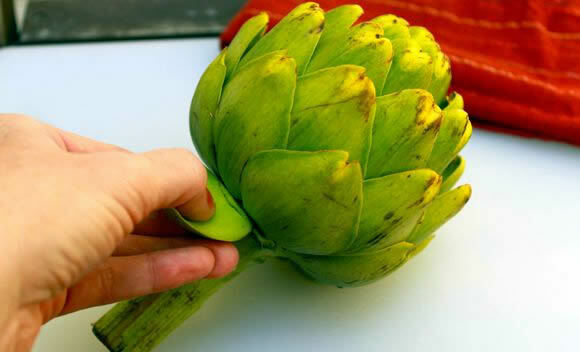 Artichoke cooking times vary based on size. Larger artichokes like these can take an hour or longer. Make the dipping sauce. In a bowl combine all ingredients thoroughly with a whisk. Refrigerate until ready to use. Sauce thickens as it chills. Prepare the artichoke. Peel the first few bottom rows of leaves off the artichoke. Use scissors to cut the tips off the leaves. 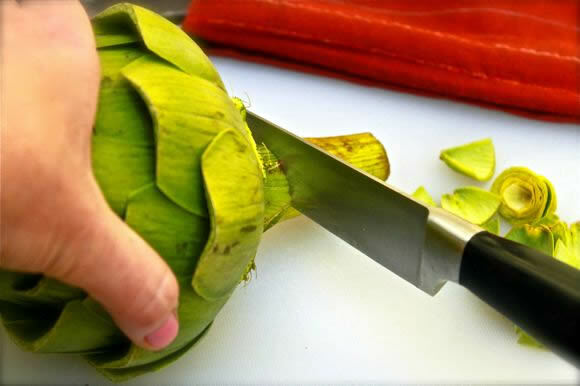 Use a knife to cut the tip off the top of the artichoke. 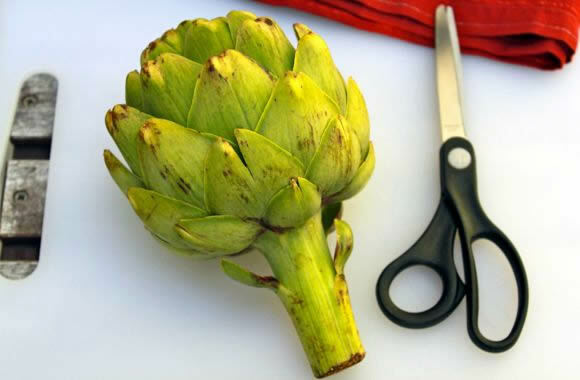 Wash the splinter free artichoke in cool water, separating the leaves slightly to clean out any trapped dirt. Finally, cut off the handle stem. Cook the artichoke. Place a steaming rack or basket in the bottom of a large pot. Fill pot with water just below the steaming rack. 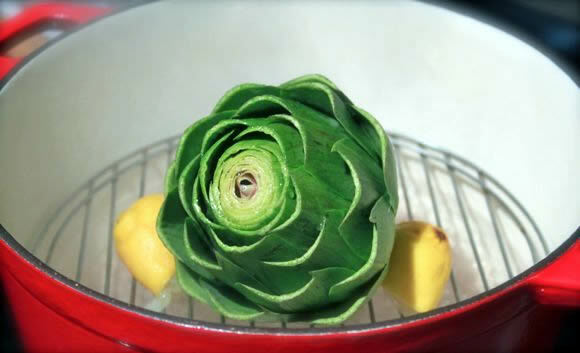 Place artichoke(s) on rack and squeeze generously with lemon. Place lemon in pot while steaming for extra lemon essence. Allow water to come to a gentle boil, then turn the heat down to low and cover. 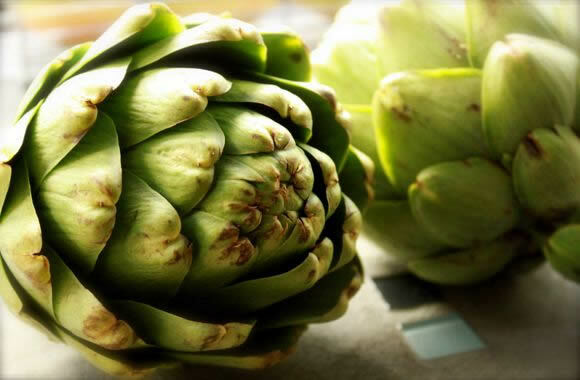 Steam for 45 minutes or longer depending on the size of artichoke. 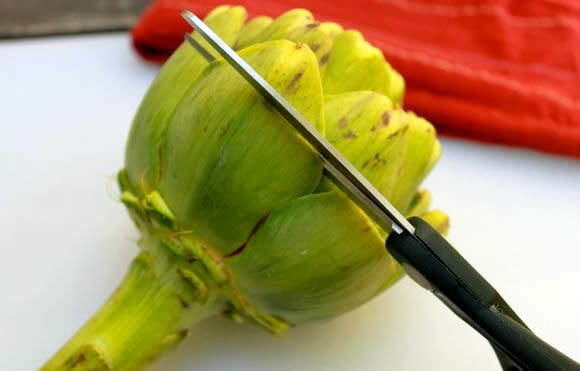 Use tongs to turn artichoke midway through cooking time. 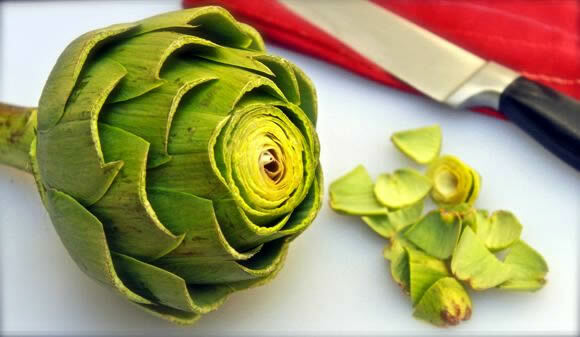 The artichoke is ready when leaves pull off easily and the bottom “bite” of the leaf is tender. Best when served hot with dipping sauce, but artichokes can also be served cold. Enjoy dipping the leaves in dipping sauce and butter. 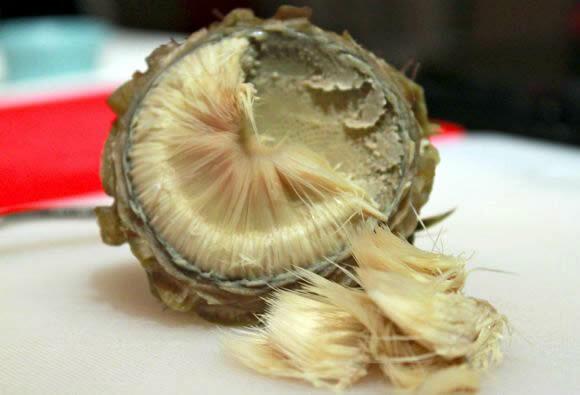 Stop eating when your artichoke looks like this. Prepare the heart. Use a spoon to scoop out the fuzzy part. Use a knife to cut away the inedible parts to reveal the heart. Cut the heart into pieces. Talk about eating your heart out. Ha! I am totally calling it the “diva of vegetables” from now on! Don’t throw out the stem/handle. Peal it, slice, saute it in garlic lemon butter and eat it. Very good. Great tip, Susan. I’ve tried your method but don’t enjoy it as much as the rest — but I’ve never tried the additional step of sauteing in butter and garlic. I’ll have to give it a try :) Thanks! To me, this is the perfect summer appetizer. 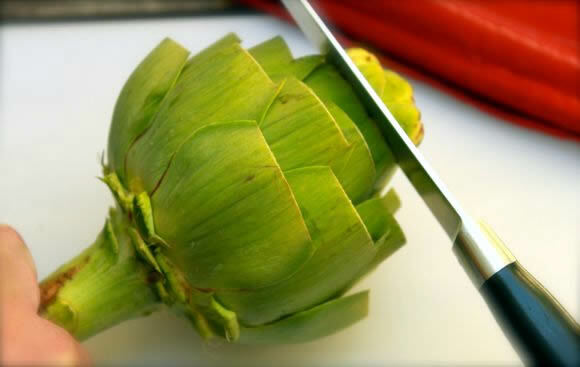 Great tutorial on preparing the artichoke. I’d love if you’d consider sharing this recipe in the online Get Grillin’ & summer bbq event I’m hosting right now (it’s appetizer week). 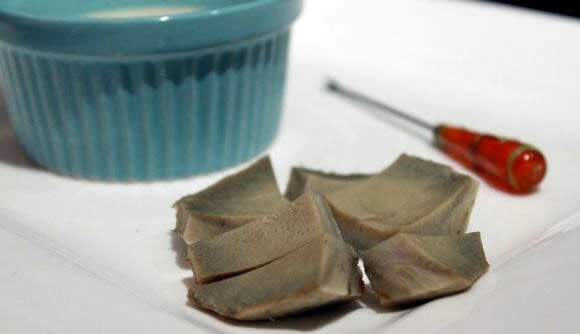 Love to hear how you enjoy artichokes :) Thanks, Jen! I love this! 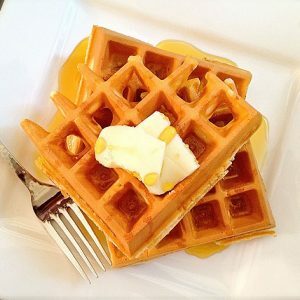 I love your detailed pictoral of how to prepare and the simple delicious sauce! I’m steaming stuffed artichokes as we “speak”. I don’t cut the leaves either, just about an inch off the top for easier stuffing. My stuffing consists of organic chicken sausage, sauteed with crushed garlic & run through the food processor. Then I add seasoned breadcrumbs, cilantro and grated romano cheese, mix altogether and stuff. I place the stuffed artichokes in about 17 oz of veggie stock in a pot, cover and steam for 1 hour. So yummy! After all that I’m too lazy to make a dip and usually just use a ranch or bleu cheese dip for the leaves without stuffing. Me too! Thank you so much, Chef!! After steaming, I cut one in half, brushed with olive oil, then put it on the grill for 5 mins. Then dipped in your sauce. One of the top five things I’ve ever tasted. Hi Ken, I’ve had artichokes prepared and grilled just as you describe… and I think I’d have to put them into my top 5 too :) Thanks a bunch for your comment! 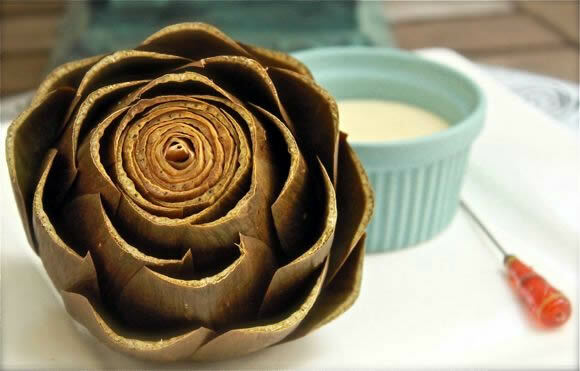 We have made many different Artichoke Dipping sauces and this one is the best we have ever had!!!! We left the Mustard out but the Sugar just helps put it over the top! We want to try and find something else to use it for, Maybe grilled Asparagus?? I think some Buffalo wings maybe prefect too!!! !